There would be no rum without Sugarcane whose scientific name is Sacharum officinarum. Sugarcane belongs to the Saccharum genus from the Poaceae family. The Poaceae family (aka Gramineae) also includes wheat, oats and bamboo. Fully matured, its height ranges from three to six meters a trunk diameter from three to five cm. The trunk is plant part containing sucrose (aka saccharose). Sugarcane is said to be is indigenous to Oceania and more especially New Guinea. It is believed to have been used by the Polynesians for over 5000 years. It no longer exists as wild species. Species that can be found worldwide are all derived from the Saccharum officinarum species. First introduced to the Pacific islands, it then reaches the banks of the Indus. Persian Emperor Darius invasion of the Indian sub-continent in 500 BC brought back to Persia "the reed which gives honey without bees". Sugarcane made its way to western Europe with Alexander the Great's armies when an admiral named Nearcus described in 326 B.C. a plant called "honey- yielding reed" by Persians. The Arabs introduced it in the Mediterranean area in the seventh century. Crusaders brought it to Europe at the 12th century and cultivation ranged from Italy and Spain to southern France. The discovery of the new world truly marked the expansion of sugarcane production worldwide. The main varieties are: "saccharum robustum", "Saccharum officinarum", "Saccharum spontaneum", "Saccharum sinense". S. robustum is generally regarded as the original species. S. spontaneum is a variety of cane with high resilience to diseases but unable to produce sugar and S. sinense a Chinese variety. Sugar production from cane began with cultivar S. officinarum. The main varieties are actually hybrids whose type varies with soil and climate conditions as well as local traditions. These hybrids were obtained by interbreeding S. officinarum with other varieties to increase productivity, resistance or climate adaptation. First hybrids consisted of cross hybridizations between S. officinarum and S. spontaneum to increase disease resistance of S. officinarum. Those hybrids were then interbred back with S. officinarum to recover the the sugar producing genes lost by the interbreeding with S. spontaneum, an unsweetened variety. Popular hybrids are cane reed (B 59.92) or cane straw (R570). Sugarcane has always had a major economic influence. For centuries, there was almost no alternative to sugarcane for industrial scale sugar production. 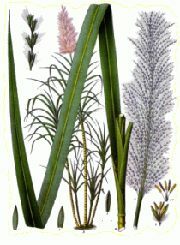 Sugar was a high valued spice and a also medicinal product (mainly diuretic effects), hence the name of the crop Saccharum officinarum (meaning pharmaceutical sugar in Latin). Its first competitor was discovered during the Napoleonic wars and the English blockade when a French chemist devised a industrial way of producing sugar from beet root. Althought that discovery, sugarcane remained until to the end of the 19th century an economic weapon. Crop areas (mainly Americas and West Indies) and the routes to Europe were subject to wars of conquest and/or disablement. At the turn of the 20th century, sugar production from sugarcane reached a momentary excess over world demand. This momentary excess was quickly overturned by the 1st World War and its needs in large alcohol supplies to sustain troop morale as well as for gunpowder and explosive manufacturing. Today sugar cane production represents 1683 millions of metric tonnes (2009 data)1 which amounts to 22.4% of the total world production1. Sugarcane is therefore the 1st crop in the world (with maize being 2nd and wheat 3rd)1. Brazil is the first world producer (2009: 690 millions of tonnes, 41% of world production), other major producers being India (2009: 285 millions of tonnes, 17% of world production) and China (2009: 114 millions of tonnes, 7% of world production)1. 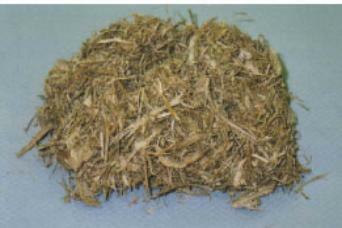 The bagasse, a by-product of sugar production, can be used as biofuel as well as a renewable resource for paper and insulation material production. Providing an optimum environment to sugarcane is essential to increase yields. As crops last several years (typically 5~6 years), it can be difficult if not impossible to alter soil conditions during that period. This long lasting productivity can be attained thanks to the practice of ratooning(i.e. harvesting while leaving the root and part of the stem) for future crops. Sugar cane is characterized by a large root system, ranging in depth, which makes it able to colonize the land sloped very strongly. This strong root system also helps to hold the soil in place, protecting the field from the impact of flooding and gravity. The soils conducive to its development are those that allow these root systems, offering enough depth and soil aeration whithout being too resistant to root penetration.Regarding soil conditions, sugarcane is generally regarded as a highly tolerant plant. Creole fashion: Stalks with three buds are inserted into the soil following a 45° angle. The upper bud is left free from the soil and will be in charge of making fresh shoots may the lower two buds be stifled by the ground. flat : Stalks are laid flat on a furrow bottom. This way being cheaper and more efficient, it tends to be more and more used worldwide. Irrigation : Sugarcane requires a lot of water to grow as most C4 plants usually do. In dry climates or during periods of drought, it may be necessary to supplement the natural supply of water (rain, dew, humidity ,...) by watering or irrigation. Drainage : Stagnating water can smother the plant's roots amd belate the cane's grow. Drainage usually requires creating devices to remove stagnating water from flat lands. Weeding : Weeds tend to restrict young shoots from getting as much light and water they require. Weeds can also become hosts for cane's diseases and parasites. When the cane grow, its fast pace and high reaching helps it to fight efficiently again weeds. Burning: Depending on the common local practices or the land specificities, the field is sometimes set on fire prior to harvesting. The fire destroy the weeds and the occasional snakes that might been lurking in the canes. Sugarcane economic role has already been described. Its diseases have therefore been a major subject of study and research institues have spawned worldwide. Perhaps the most known is the Bureau Of Sugar Experiment Stations which have been created in 1900 in the Australian state of Queensland. Planting only disease free stalks obtained through selection or disinfectant spraying. Thoroughly cleaning fields and tools (esp. blades). Pest control as many bacterial and viral diseases are transmitted by insects. Creating disease resistant crops. This way of fighting the sugar cane diseases is quite a recent one as it requires creating hybrids, a technic invented during the 20th century. Roots : mostly white grubs (beetle larva form) but also grasshoppers, termites and nematodes (worms) attacking the roots by burrowing or feeding. Leaves and stems are targeted by biting insects (leafhoppers, sharpshooters, scale insects, ...). In addition to the damage caused to stems and leaves, those insect can also infect the cane with bacterial or viral diseases. Borers (various kind of moth larvae), drill short tunnels of various shape in the stem. Those tunnels are generally found close to the stem surface and young plants are more prone to be attacked than older ones. Borers are the older and probably the most dangerous threat to sugarcane crops. The leaf-eating caterpillars can also cause damage to sugarcane plants but those damages are usually not so important, compared to other threats. Introducing parasitoids. This method is primarly used against borers. Tachinidae are commonly used parasites. Female tachinidae yield their eggs at the borer tunnel entrance. The larvae progress in the tunnel and get into the borer body. The tachinida larva then develops inside the borer and ultimately kills it. Creating sugarcane crops less prone to insect attack or more resilient to the damages caused by insects. Rats can also be an important threat to plantations, all the more if a colony settles in a field. Methods used are conventional rodent control ones (anticoagulant or poisonous baits, traps, ...). 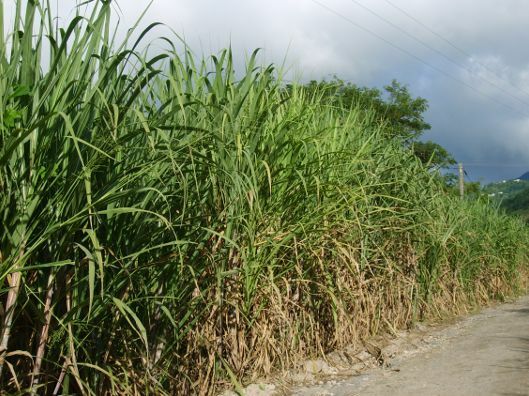 Cane harvesting is conducted when the sugar concentration reaches its highest rates. In the West Indies, that period runs from January to late June, about 12 to 18 months after planting. The harvesting time follows the sugar cane blossom in December. Cane fields are often set on fire before harvesting, especially for hand harvested fields. The fire helps to get rid of cane leaves and weeds and kills any snakes, avoiding snake bites to cutters. Since sugar is concentrated at the stem lower sections, canes are cut at ground level because the sugar. Stem top and leaves are immediately removed. Hand harvested canes are loaded on a cart in one piece. Mechanical harvesters cut the cane at the stalk base, remove leaves and cut it into pieces of usually 20cm long. Mechanical harvest tends to be faster (typically 100 tons per hour, or the equivalent of about 200 workers). The downside of mechanical harvest, is that no every field can be harvested that way (e.g. slopes being too steep, or insufficient road/tracks to the field). Cane rods are also more fragile and sugar tend to get altered more rapidly. Hence fields located too far away from factories have to be manually harvested. The mechanical harvesting tools being quite expensive, it tends to be used more widely in countries with medium to high labor costs.